10% Giving Pledge is Paws Down the Best in Town! 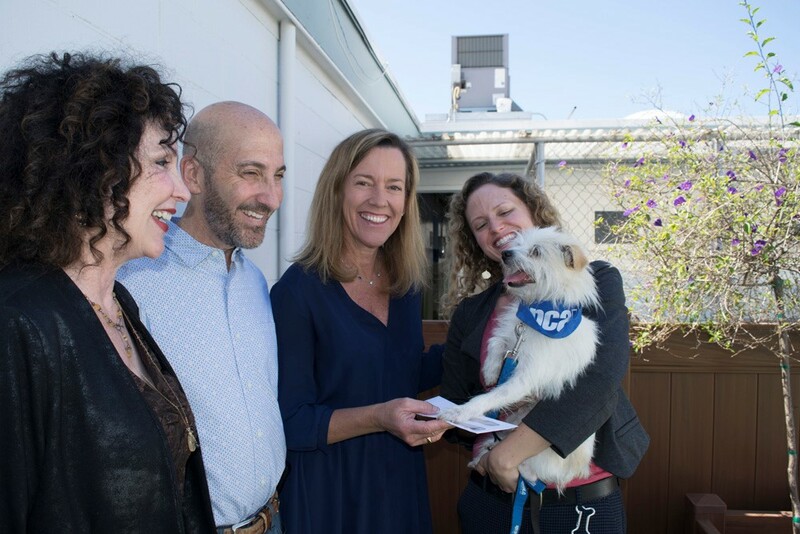 Society for the Prevention of Cruelty to Animals Los Angeles (spcaLA) today was presented with a check for $11,540 by Anthony Marguleas and Briar Pecsok of Amalfi Estates, a residential real estate brokerage firm in Los Angeles. The check represents 10% of the commission of a recent home sale by Pecsok, a Sales Partner. Amalfi Estates has donated $57,938 to spcaLA since 2015. In 2015, Amalfi Estates and its founder Anthony Marguleas pledged to donate 10% of commissions to five charitable organizations: spcaLA, American Cancer Society, Make a Wish, Path Making It Home, and Homeboy Industries. Clients choose the one charity their commissions will benefit. The five organizations represent the main causes Amalfi feels strongly about: pets, health, kids, homelessness and a local cause to help gang members transition to productive professionals. Over the years, Amalfi Estates and Marguleas have donated $464,000 to charity. Today’s gift to spcaLA comes on the heels of Marguleas issuing the “10% Giving Pledge Challenge” to other residential brokerage firms across the country. “If a small boutique firm like ours can donate $464,000 and still be successful, so can any other real estate firm in the country. I challenge them all to give it a try. Only good can come from it. Imagine with 1 million Realtors in the country, millions of dollars can be raised for those less fortunate,” said Marguleas.